Russian Grand Prix organisers have recruited Richard Cregan, chief executive of Abu Dhabi Formula 1 venue Yas Marina, to work on the inaugural Sochi race. Ex-Toyota F1 team manager Cregan's Rasgaira consultancy company has entered into a three-year deal with Sochi promoter Oleg Zabara. "The combined, impressive experience that the international consultants have, their understanding of the Formula 1 world, and the desire to do the F1 Russian Grand Prix at the highest level guarantee a good result of our teamwork," said Zabara. 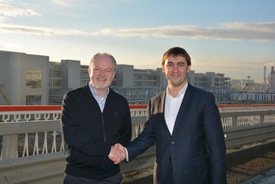 "The knowledge and experience which we will get in the course of this co-operation will ensure not only the hosting of a world-class grand prix, but also effective use of the autodrome in Sochi all year round." Cregan will remain involved with Yas Marina as an advisor. "Moving on from Abu Dhabi was a tough decision for me but I have always enjoyed a new challenge and remain an advisor to the chairman and management there," said Cregan, who has been part of the Yas Marina project for the last five years. "I am convinced that the F1 Russian Grand Prix will become one of the iconic events in the Formula 1 calendar and we will be able to build a very successful business by utilising the amazing assets and the passion of the team here in Sochi." The 2014 Russian GP takes place on October 12 next year. Ticket sales will open on March 4.